In a televised Mass that aired on RTE1 and Shalom World TV on Sunday 29th January from St Peter and Paul’s Church in Portlaoise, Bishop Denis hosted the national launch of Catholic Schools Week 2017. This years theme is very much rooted in the papacy of Pope Francis and his encyclical Laudato Si: “learning with Pope Francis to care for our common home”. 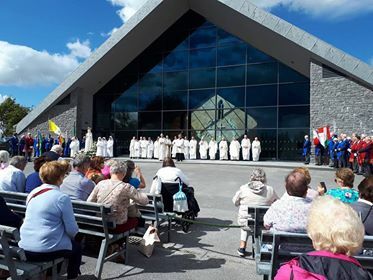 It was in Sweden at the end of his ecumenical trip on the Feast of All Saints that Pope Francis gifted the church with six new beatitudes to help us in our journey of faith. The fourth of these new beatitudes offers us this years’ theme for Catholic Schools Week: “Blessed are those who protect and care for our common home“. The Pope was following in the illustrious example of his predecessors Pope Emeritus Benedict who gave us the powerful tomes on ‘Jesus of Nazareth’ and St, John Paul II who introduced us to the Luminous Mysteries – the Mysteries of Light. Catholic Schools Week was first introduced into the United States in 1974; this is the ninth year of celebrating Catholic Schools Week here in Ireland. 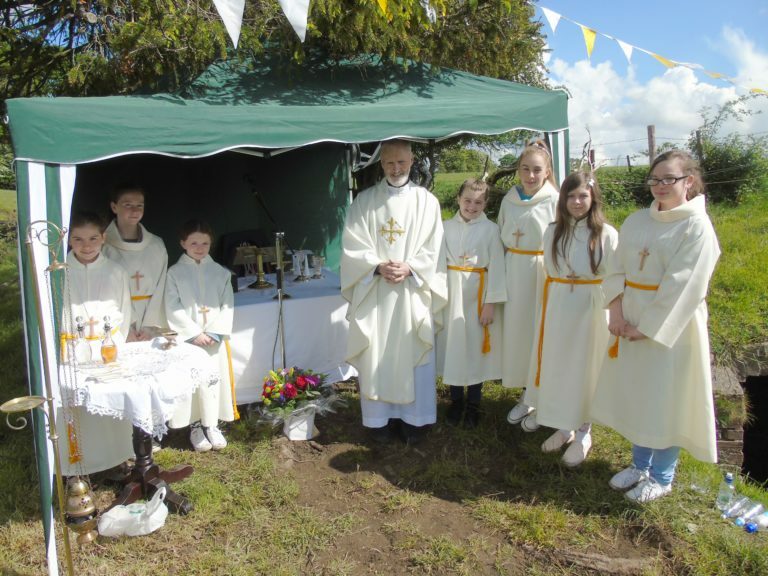 The week gives us the opportunity to celebrate the unique contribution that both primary and post-primary Schools make to our local parish faith communities and indeed to the wider society. This contribution is a significant one. By virtue of being Catholic our school system is already committed to genuine pluralism and inclusion, respectful of the beliefs of all parents and pupils. 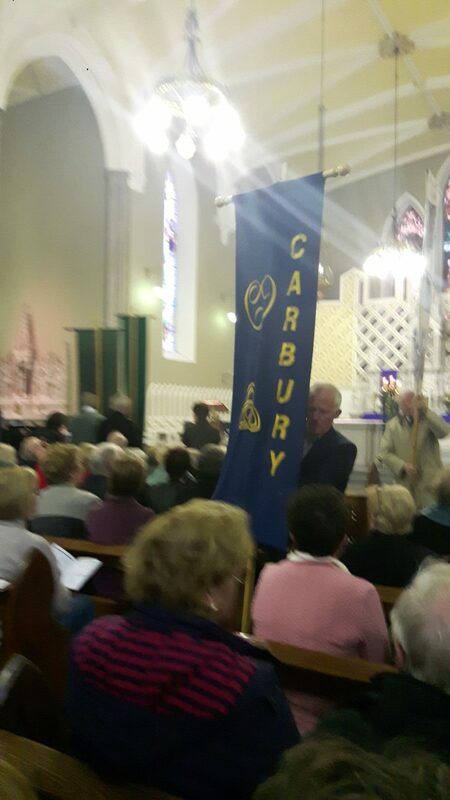 That is why it is so important that this years’ launch is in the context of a parish. 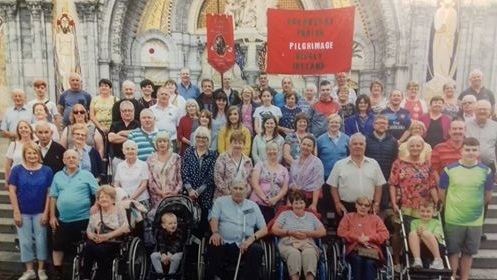 Here in Portlaoise, as in every urban parish, there are pupils attending our Catholic Schools of every creed and none, from every continent and every social class. 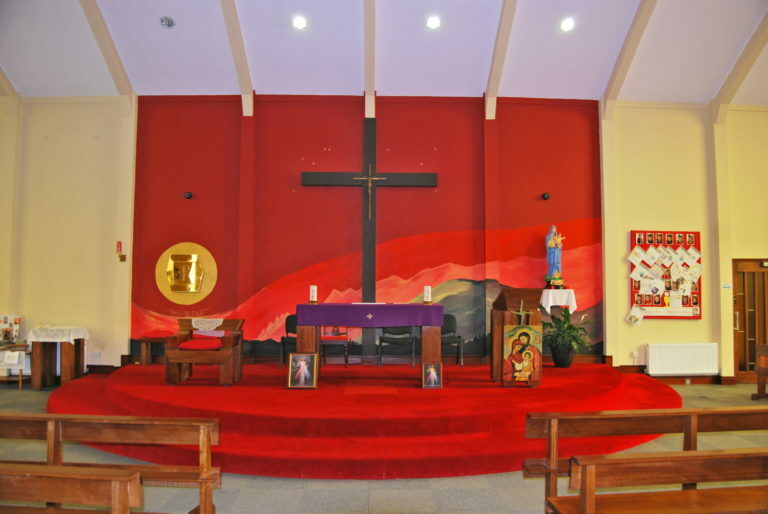 There are 2880 Catholic primary schools in Ireland and 341 Catholic post primary schools. Identity is important to all of us and parish gives us that sense of identity. The Beatitudes from St. Matthew allows us to understand Jesus the Teacher. Jesus understood his disciples only too well, they would be swayed by the crowds, they would be enticed by the miracle man, they would be caught up in the euphoria. So he calls a halt to their gallop and sits down to teach them. Like all students, the disciples must first must learn the syllabus, cover the curriculum, the assignments will come at a later date. 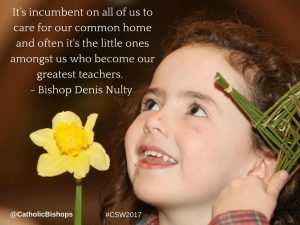 Catholic Schools Week allows us this year through the prism of Pope Francis’s encyclical Laudato Si – caring for our common home – to appreciate as followers of Christ we are all called to care for, watch over and protect the world that we call ‘home’. Last November I was privileged to visit Zimbabwe with Trocaire and saw at first hand the effects of climate change, drought and pollution. We don’t need to travel that far. In fact the very fact of traveling that plane journey results in excessively burning fossil fuels. We have to ask ourselves do we really need strawberries in December? The best people to teach us lessons on the environment are our young people – how many of our schools take their greatest pride in their Green Flags? The preferential option for the poor is integral to the Catholic commitment to follow Christ. 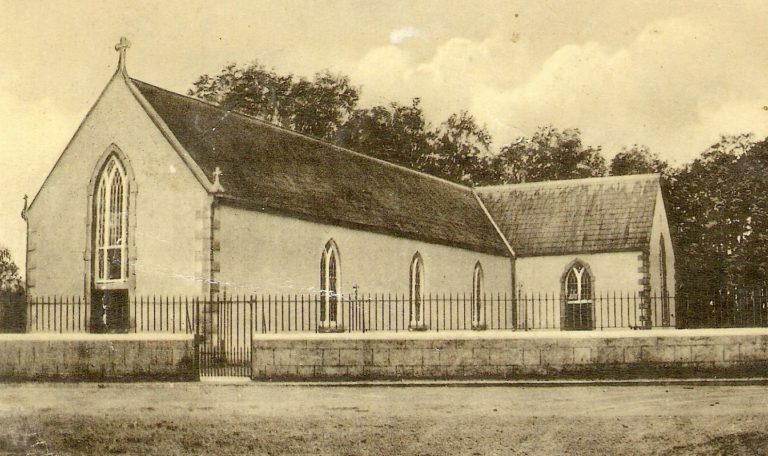 Many of the Catholic schools established all over Ireland, were founded with a mission to serve and educate the poor. 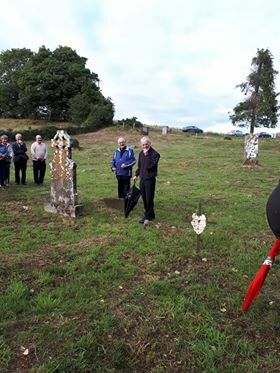 Today we owe a huge gratitude to the religious of Ireland who responded to this need, often at enormous personal cost to the individual, to the community or to the congregation. Catholic education must still reach out to the poorest of the poor. How do we define the poor in 2017? In Matthew’s Beatitudes it is very much “the poor in spirit“. Is it today the materially poor, the culturally poor, the emotionally poor or the spiritually poor? In the shocking statistics on homelessness released by Focus Ireland just last month, it was estimated that one in three homeless people were children. 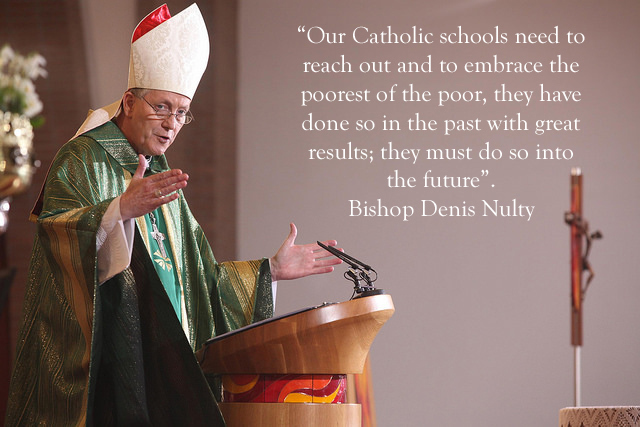 Our Catholic schools needs to reach out and to embrace the poorest of the poor, they have done so in the past with great results; they must do so into the future. The Beatitudes calls us to work from our heart, our deepest desires – less of the head and more of the heart. Just back yesterday from our Ad LIminia Apostolorum visit with Pope Francis where he asked all of us as Bishops to be leaders who use our heads, our hands and our hearts. 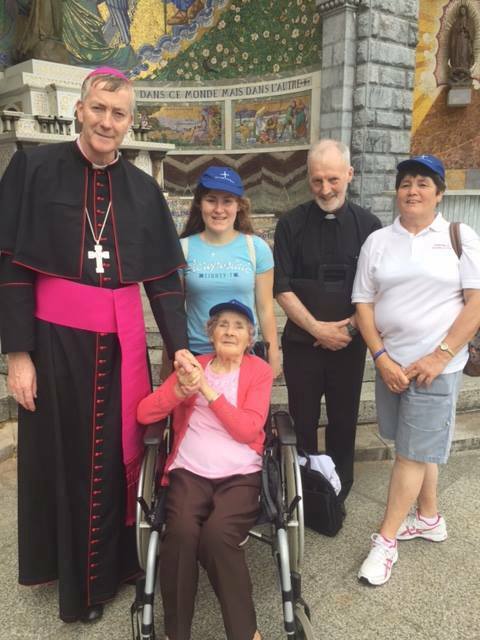 Laudato Si challenges us “once we start to think about the kind of world we are leaving to future generations, we look at things differently; we realise that the world is a gift that we have freely received and must share with others” (par. 159). Our young people know this and live this and that is what makes them and all of us truly “blessed” this Sunday morning.